Would you like to stay in a cosy cabin, or do you prefer a fully equipped holiday apartment? The choice is yours! 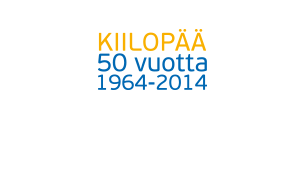 At Kiilopää Fell Centre we offer you a wide range of choice for accommodation. At your disposal there are cabins, holiday apartments, hotel rooms and hostel rooms. All of our cabins, apartments and rooms are located within 500 metres from the main building of the Fell Centre. The main building houses the reception, a restaurant, a cafe and other facilities. The size of the accommodation varies from one type of accommodation to another. In this way our visitors, both individual travellers and groups, are sure to find rooms that best meet their needs. For larger groups, different types of accommodation can be combined. All of our cabins, apartments and rooms at the Fell Centre are non-smoking. Pets are permitted in some of the cabins and in the row house apartments.